The American Pit Bull Terrier, or APBT, is one of the most popular dog breeds. There is a lot of controversy surrounding this breed, and the related breeds as well. The big reason is misunderstanding and misinterpretation of the breed. Pitbulls, and the different types of pitbulls can be some of the most loving, affectionate, and loyal companions a person can have. 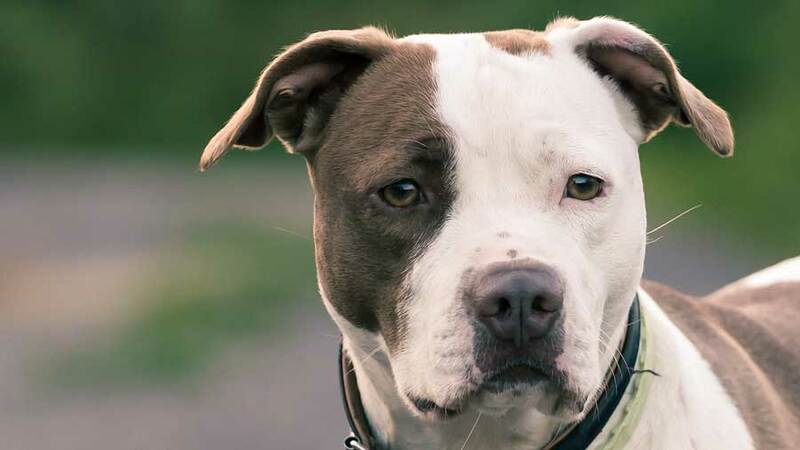 When you talk about the different types of pitbulls, you need to know that the term pitbull is the generic name given to a number of breeds and mixed breeds. Most of these different breeds have similar physical and personality traits. These dogs originated back in the 1800s. Their history dates back to fighting dogs. They were originally a result of breeding between bulldogs and terriers. Pitbulls date back to Britain, and back to the time when blood sports like a bear and bull baiting were popular. The premise of the sport was to tie a bull or a bear to a post in a pit and set the dog to attack. Why the people in Britain crossed terriers with bulldogs? They wanted the strength of the bulldog and the feistiness and tenacity of the terrier. The goal was to get a strong and powerful dog, who is not afraid of anything and can be aggressive when needed. Once the blood sports were outlawed, people turned to dog fighting, as it was easy to conceal it as an underground operation. Illegal dog fighting rings are still popular today, and pitbulls are often used in them. As you can see, the reason why these dogs have a bad reputation is all due to human. Nowadays, pitbulls are banned in a number of states and municipalities across the US, erasing their history of being used as a nanny dog. All types of pitbulls are intelligent dogs that love to please. These two traits make them highly trainable and obedient. And as much that is a good thing, it is also a bad thing. Because people can easily train the pitbull to be an aggressive dog. This is the same dog you can teach to collect the mail. But if you teach them to fight, they will fight. With that in mind, let’s take a look at all of the different pitbull breeds. This is the original pitbull, a purebred dog. However, because of its checkered past, the American Pitbull Terrier is not recognized by the American Kennel Klub. The APBT stands taller than other pit bull breeds, of between 6 and 8 inches taller than the Staffordshire Bull terrier. If you talk with dog breeders, many of them will tell you that the APBT is the only true and pure Pittie dog. Pitbulls love people, they are affectionate, and will do anything to please their owner. However, they may also intercede if someone threatens their family. They are great with children and are mostly people-oriented breed. The Pitbull thrives as member and part of the family. Sadly, they have their reputation as fighting dogs. The big myth surrounding pitbulls is that their jaw locking mechanism. But there is no such thing. What happens is pitbulls refuse to let go of something when they grab hold of it. One of the most popular breeds of pitbulls that is not the original pitbull is the American Staffordshire terrier. Known as a working dog, they can carry different types of tasks. Their average height is between 17 and 19 inches. 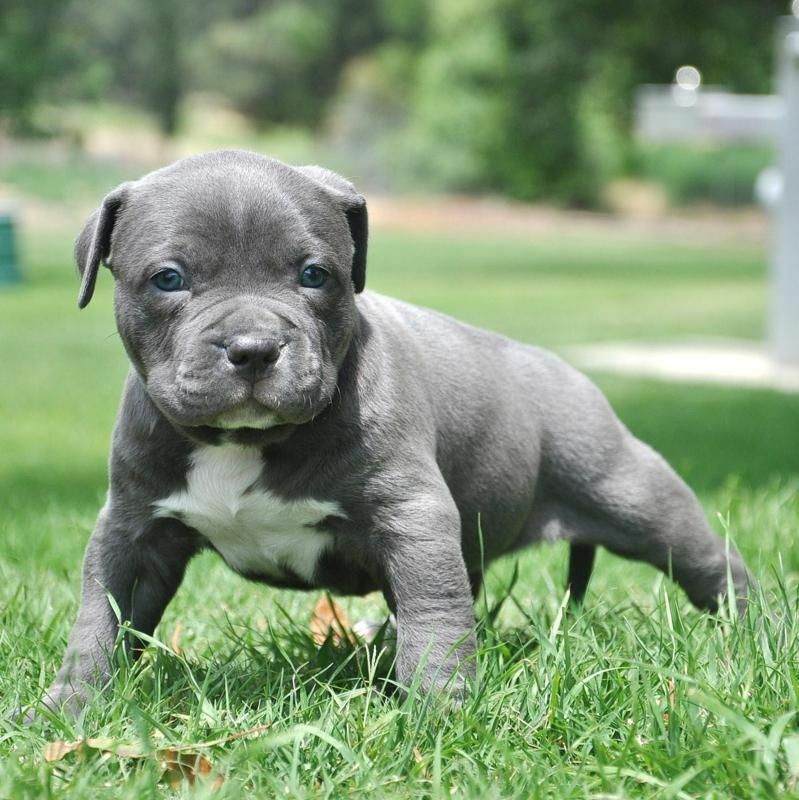 While they are smaller in height than the Pitbull, they are usually heavier and more muscular. The main difference between an American Staffordshire, or Amstaffs and Pitbull, is that the former is more muscular, like a bodybuilder, while the Pitbull has a leaner body. Smart, confident, and good-natured, the courage of the AmStaff is proverbial. They are trustworthy friends, fearless, affectionate, and bring great joy to their families. Even though they also have a reputation as an aggressive breed, the American Staffordshire is a true family dog. 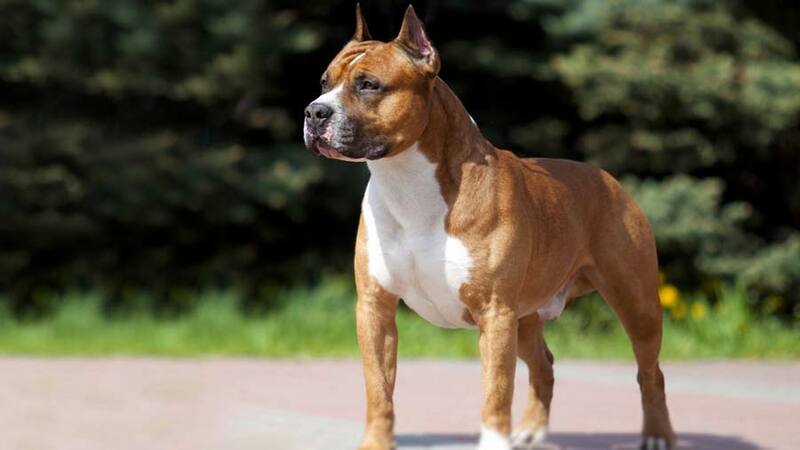 The AmStaff is not banned under the Dangerous Dogs Act in the United Kingdom. 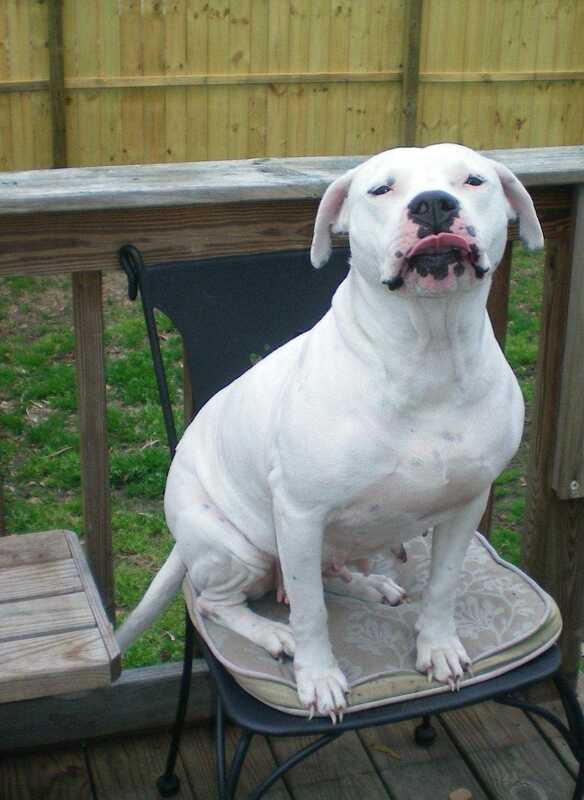 This breed is a result of a crossing between an American Pitbull and other dogs in the bully breed family. Sometimes, they even breed outside of the bully family. 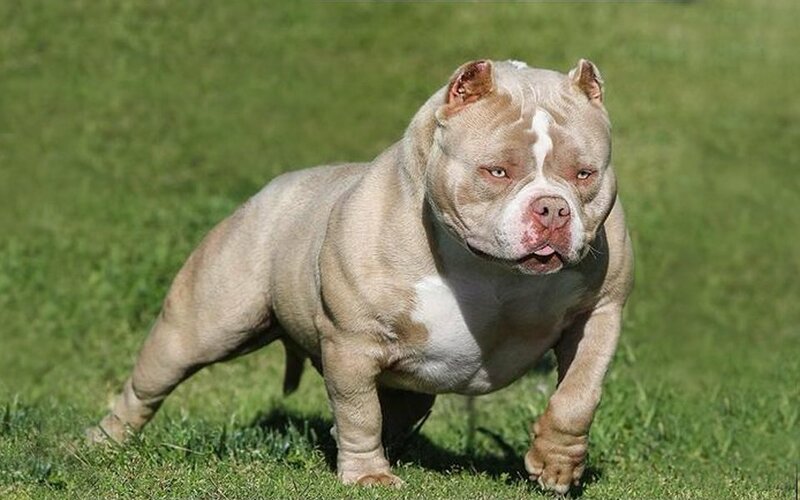 In the past several years, the American Bully has become its own breed. Originally, the dog was a result of the crossing of the American Pitbull Terrier and an English Bulldog. They are good family companions and very good pets. The average height can reach between 16 and 20 inches, while their weight goes between 60 and 80lbs. Best way to recognize them? Usually a tad lower in height than the AmStaff, and more muscular and heavy. According to the American Bully Kennel Club, the dog is exceptionally devoted and loyal and focused on pleasing their owner. Highly trainable, the bully is eager to learn. Perfect with children, as they can be gentle and adjust to the kids play. 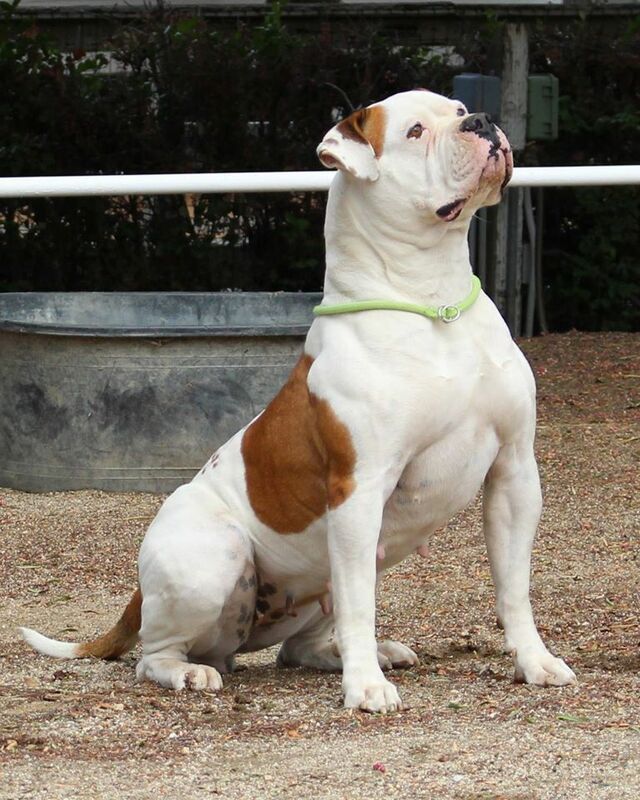 Last, but not least, we’ve got the American Bulldog. Originally, they were used as working dogs because of their huge strength. Their main role was to drive cattle and guard homes of the master. They were also one of the first dogs to be used in the Bull baiting game, along with the American Pitbull Terrier. They are a bit taller than the AmStaff and Bully, as they can reach a height between 20 and 27 inches. Descended from the Old English Bulldog, the American Bulldog is a breed of utility dog, that has an assertive, confident, friendly, and dominant temperament. They are broader than the Pitbull. Being that they are family dogs, they can be quite protective toward children and women. American Bulldogs can do well in homes with children, but they are not babysitters. This breed is also not banned under the Dangerous Dogs Act in Britain. These two breeds are originally pitbulls, but because of their different and unique coat color, they receive their own paragraph. The blue Pitbull has a blue nose and coat, while the red Pitbull has a red nose and a copper coat. For many people, this color might not be much fascinating. But there are dog lovers out there that are fascinated by the rarity of the color among pitbulls. Can you get a solid white pitbull? This is another rare breed of the types of pitbulls. It is quite rare, and there is a high demand for solid white pitbulls. They are adorable and interesting to look at, but they also have personality traits that make them perfect house pets. The pitbulls are also a popular breed among mutts, or crossbreed dogs. So far, there are two popular mutts that share the same lineage with the pitbull. One is the Rottweiler Pitbull mix, resulting in a hybrid loving and affectionate dog. You might be more afraid of it, as it is even more muscular and intimidating than the pitbull. But that is far from the truth. When socialized and trained from an early age, you end up with one of the biggest smiles greeting you. Another popular mixed breed is the Pitbull Husky mix, or the Pitsky, as many call it. This dog breed has become so popular, that people are nowadays intentionally breeding pitbulls with huskies. The result is a playful and affectionate dog which is highly intelligent and cheeky. And of course, with those unique husky eyes. Before considering purchasing or adopting a Pitbull, here are some myths you want to know beforehand.